‘Tis the Season to be Sad! This is not humbug. It is true. Winter season is the saddest season of the year. It is also the darkest season of the year. 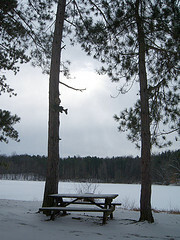 It is a time of the year when the number of daylight hours in the light–day cycle of each day has decreased the most. Winter is a time when the serotonin level in the brain is lowered. Serotonin is a hormone that is most commonly known to affect mood. It is a neurotransmitter – a chemical substance that transmits impulses that cross the spaces between nerve cells (synapses). 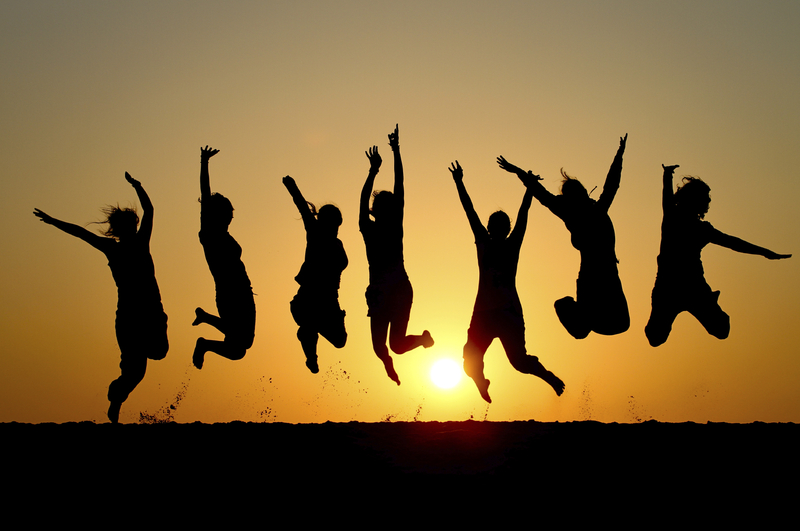 Serotonin is known as the “feel good” hormone. But, low levels of serotonin in the brain cause sadness and depression. When sunlight shines on our eyes, it transmits a signal from the eye to the brain to make more serotonin. In winter months, with less sunlight and dark overcast days, our brain is making less serotonin. Lower levels of serotonin cause us to have feelings of sadness, irritability, depression, and headaches. According to research, lower levels of serotonin are correlated with higher levels of irritability, impulsiveness, and aggression. Scientists know that increasing serotonin levels in the brain helps relieve symptoms of depression. Good health is dependent upon the amount of beneficial bacteria in the digestive tract. The health of the immune system is dependent upon the health of the digestive track; and the health of the digestive track is dependent upon the balance of its microflora or flora. The flora is the mixture of microorganisms that live in your intestine – bacteria, fungi, viruses, yeasts, etc. The good and bad bacteria are in a constant battle for living space within the digestive track.To have a healthy immune system there needs to be a ratio of 85% good bacteria over harmful bacteria. 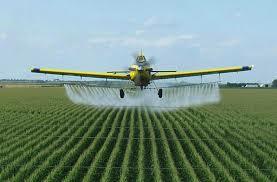 Roundup being sprayed on corn crops. Your immune system is the first line of defense against cancer and it is also the final arbiter in your fight against cancer. A healthy immune system will hunt down and destroy cancer cells. The health of your immune system is dependent upon the health of your digestive system. It is important to review why crops that are genetically engineered as pesticide producers are implicated as a factor in the explosion of intestinal and immune disorders in the United States. 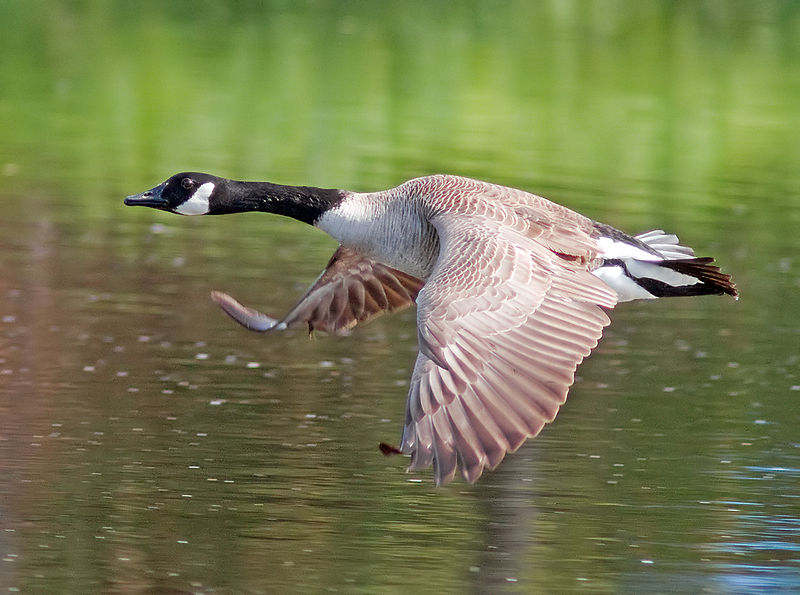 Who Are You Going to Believe, Wild Geese or Monsanto? The danger is clear. You have good reason to be concerned, seriously concerned. The potential damage to your immune system and the health risks caused by genetically engineered food is real. Some experts say the risks are enormous. Frankenfood – Why Would You Take The Risk? Genetically modified foods (commonly known as GMO’s) are increasingly linked to immune disorders and other health problems. Any parent who has seen their child suffer an anaphylactic allergic reaction needs to consider the risk of letting their child eat genetically modified foods. It is frightening to watch a child’s face swell, often within seconds, into a grotesque mask. Their tongue and throat swell, choking off their breath. Their skin breaks out with hives and is covered with a reddish rash. To see your child threatened by unconsciousness and even death is reason to consider the risks of GMO’s. There is a high correlation between the explosion of intestinal and immune disorders in the United States and genetically engineered food. In the previous post, I discussed the effect of Bt-toxin (a toxin genetically engineered into every cell of “Bt corn” click here). Bt-toxin causes the stomach of insects to split open. It is not surprising that there is a strong correlation between Roundup Ready “Bt corn” and leaky gut syndrome in humans. 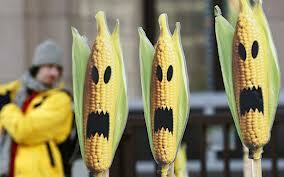 Do you eat genetically modified corn? – Think again. Would you swim in a pond that had a sign posted by it that said “Water Moccasins May Be Present”? 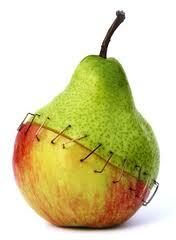 Would you purposely eat “Frankenfood”? Frankenfood is a term invented by health activist groups to denote any food that has been genetically modified (GM) or that contains genetically modified organisms (GMO). Would you eat “Bt corn” (a genetically modified food) when independent research reports and the American Academy of Environmental Medicine (AAEM) call for a moratorium on “Bt corn”? Several animal studies and anecdotal evidence indicate again and again serious health risks associated with “Bt corn” including weakened immune systems, insulin regulation, infertility, and an increase in stomach and gut troubles. There is more than a casual association between genetically modified foods and adverse health effects. There is causation. “Bt corn” is a genetically modified corn plant, produced by Monsanto, a multinational chemical and agricultural biotechnological company. “Bt corn” has been engineered to produce a built-in pesticide called Bt-toxin – produced from soil bacteria, Bacillus thuringiensis. When bugs bite the plant, poison splits open their stomach and kills them. In other words,”Bt corn” is corn from corn seeds that have been genetically modified to contain a gene copied from the bacterium called Bacillus thuringiensis, or Bt. Genetic engineering refers to the process of taking a gene or genes from one species and forcing it into the DNA of another species. Have you ever had the perfect retort to a remark, or the perfect reply to a question – but only thought of it the next day? Too late! At the actual time, instead of the perfect response, you stammered with an answer that you knew was inadequate. That happened to me a few weeks ago. I was at a special dinner banquet. After desert had been served, a friend, who I only see occasionally, overheard another person at the table talking with me about this website. My friend asked what I was writing. I told him I had a passion to help those diagnosed with cancer by providing the latest science backed information about improving the health of the immune system. I explained, it is vitally important for anyone diagnosed with cancer, alongside of their selected treatment, to take the needed steps to restore the health of their immune system. The immune system is the final arbiter in a person being able to control cancer.